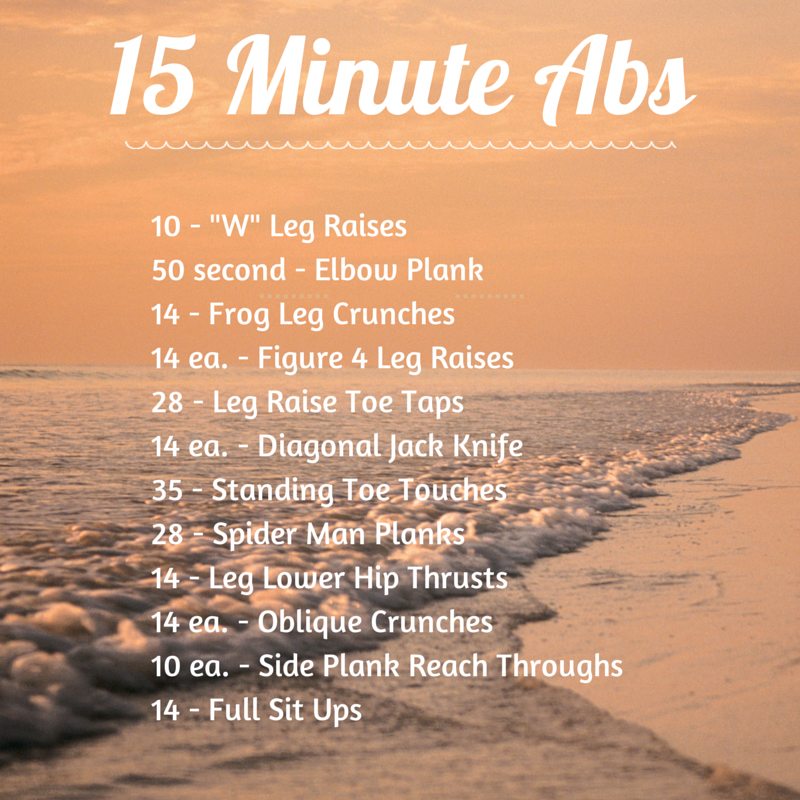 My abs hurt for 3 days after doing the 8-minute and 5-minute ab workout videos. I hate doing ab work outs and, not coincidentally, my stomach is my trouble spot, so I gotta give it some attention. For at home exercises, I really like doing them while I watch TV because given the choice between watching an exercise video and watching Parenthood, I’m choosing Parenthood every time. Time out for a sec – seriously though, how good is this show?! If you don’t watch it, start from the beginning immediately. It tackles like every bad and good thing that could happen in your life in a realistic way that leaves you feeling everything for the characters – ugh I’m gonna miss it when it’s gone. Time out over – If I have a workout plan that doesn’t involve a video, I remove any excuse for not exercising. So, I took the liberty of rewatching 8 minute abs and 5 minute abs (both embedded here) and wrote out the exercises and reps in what I’ll call 15 Minute Abs. I still encourage you to watch the videos because the exercise names are weird. HAPPY THANKSGIVING TO THE U.S. FOLKS! A great American excuse to be totally gluttonous! My goals for this week are PT every day, run outside today, work out at home Sunday and Monday, and Gym Tuesday.